Wonderfully soft ladies leather tote handbag made from Italian Suede. Long handles to fit comfortably over your shoulder and an Internal leather zip pocket. Our gorgeous leather tote is both stylish and practical, fitting in perfectly with the pared down minimalist trend. The straps are long enough to be worn over your shoulder comfortably. 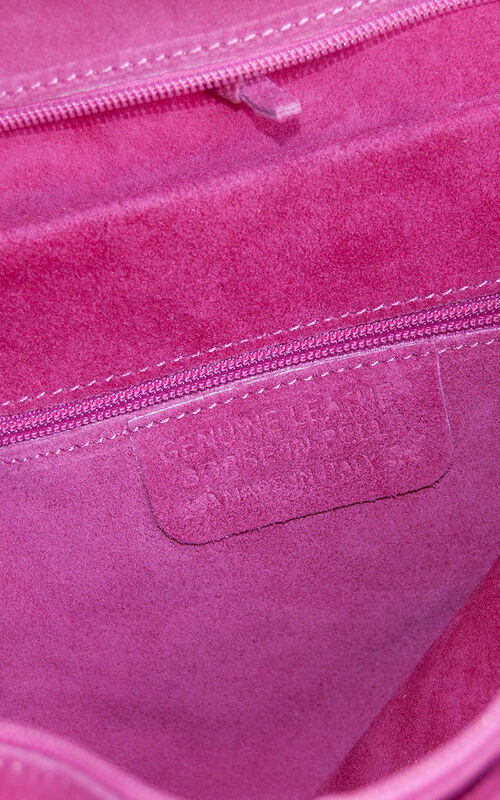 The top zips shut for complete peace of mind. Whilst the tie top is a lovely touch, the smaller internal leather pocket zips shut, keeping you organised and making smaller items easier to track down. 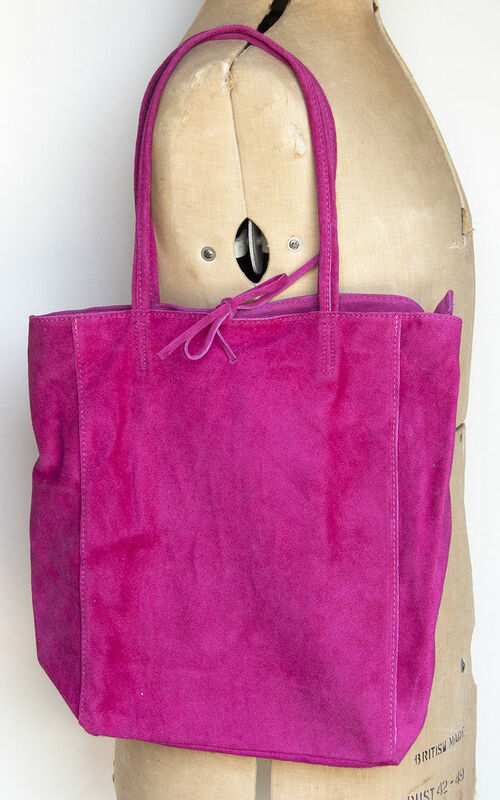 This is a fabulously roomy tote in fashion friendly colour ways. On trend fashion colours and the spacious interior make this bag one you'll use endlessly. Our shopper tote is unlined with a tie top and an internal zip up purse to keep your essentials safe. Please treat this bag with a suede protector to prolong its life.